We have been hard at work to pick out a show for next year since even before last season ended. In our fourth year of competition, we have started to really do some things well. That makes following up a great season of music and marching even more difficult. 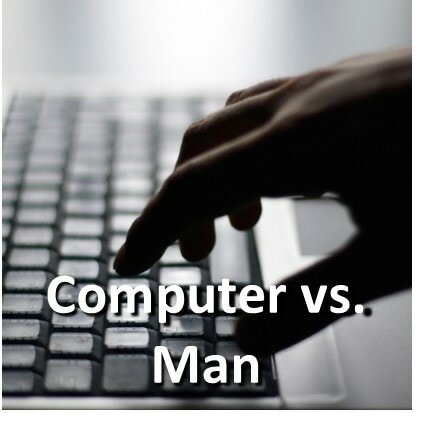 This year's show is called Computer vs. Man, and has three action-packed movements that will, again, utilize props to enhance to visual aspects of the performance, and lots of energy to knock the audience's socks off. The movements are called "Powering Up", "Working Together", and "Rise of the Machines". We think the music will challenge the ensemble technically and musically, as well as with some excellent drill design. Check out the recordings below to hear the songs; sheet music and SmartMusic files will be available soon.